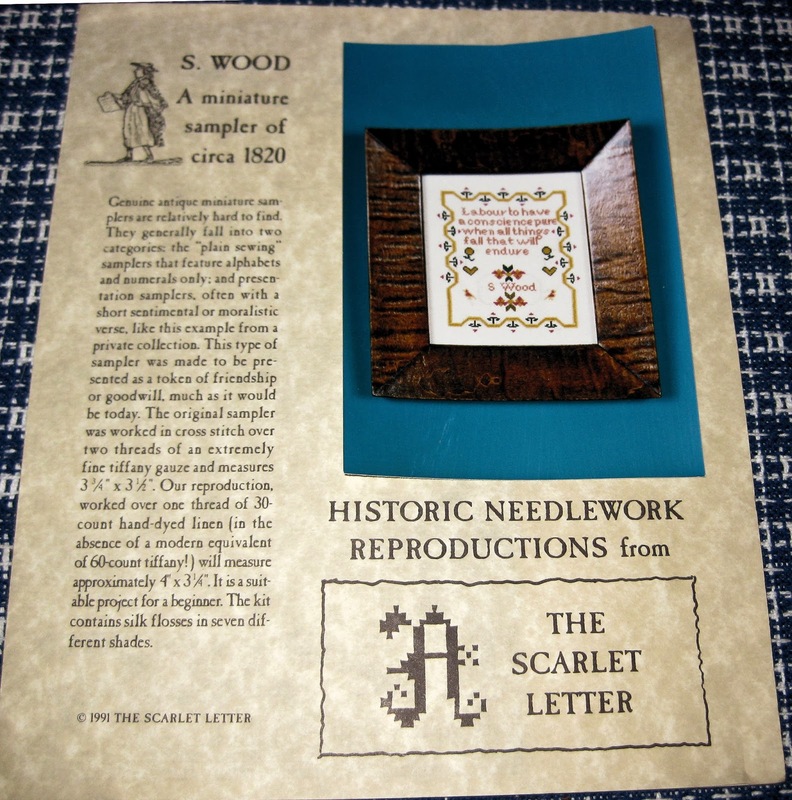 Next, I started the S. Wood sampler from The Scarlet Letter. 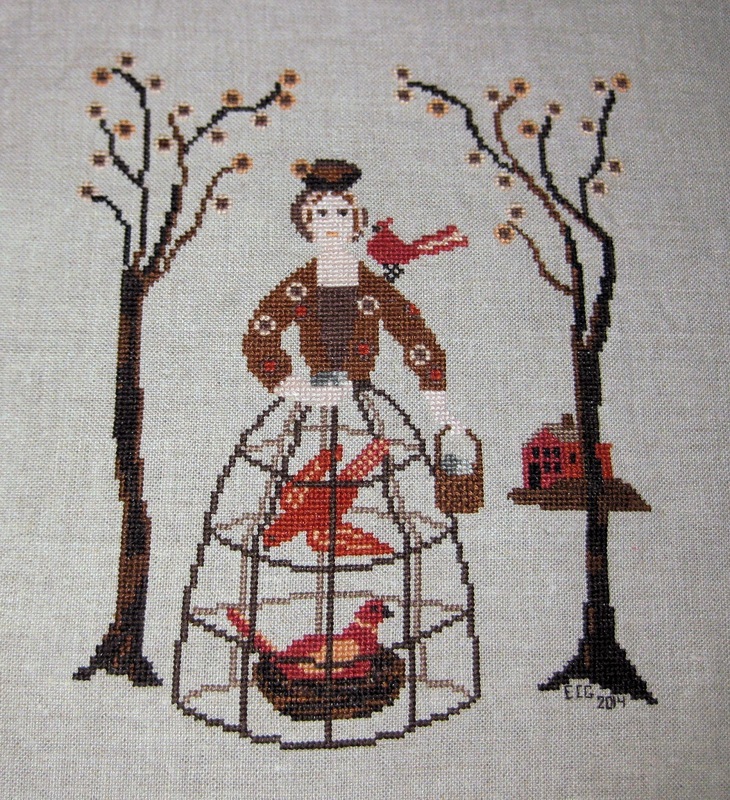 This is a miniature sampler that dates from about 1820. I am stitching it on 32 count tea-dyed linen, using Au ver a soie. 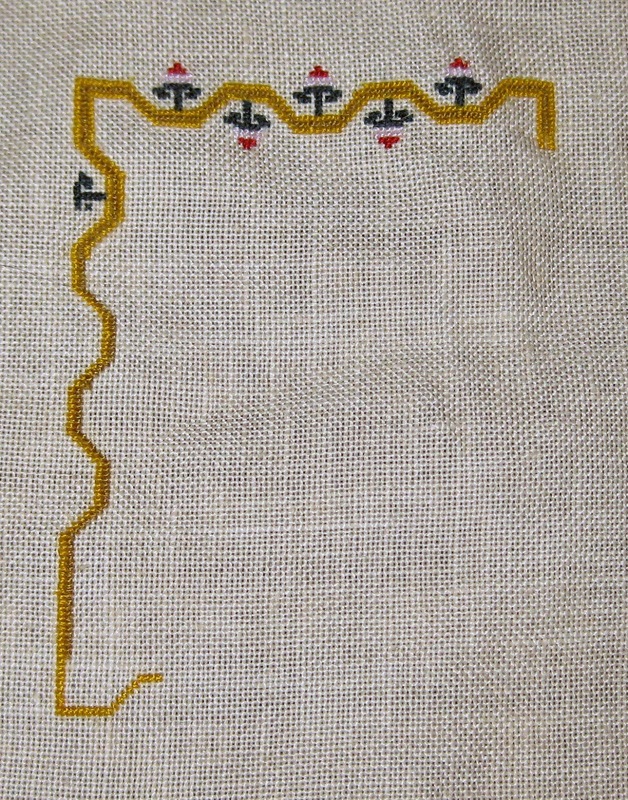 Even though it is a miniature, this is a tough one because it is all stitched one-over-one. Very tough on the eyes! I finished up the upper border. The gold border is made up of three rows, a light gold row, a dark gold row, and another light gold. The visibility here is not great! I am going to start the verse tonight, and skip back and forth to the border, doing it a little at a time. It is easier on my eyes that way. We are in the middle of yet another raging blizzard here tonight. Hope you are all safe and warm tonight wherever you are! The bird lady is so pretty! you are very brave for all the over one stitching! It is looking very pretty! Oh, such a nice finish, and there's even a cardinal in the picture. Love it. Congratulations on the finish. Beautiful start. All over one?!? Oh my aching eyes just thinking about it.